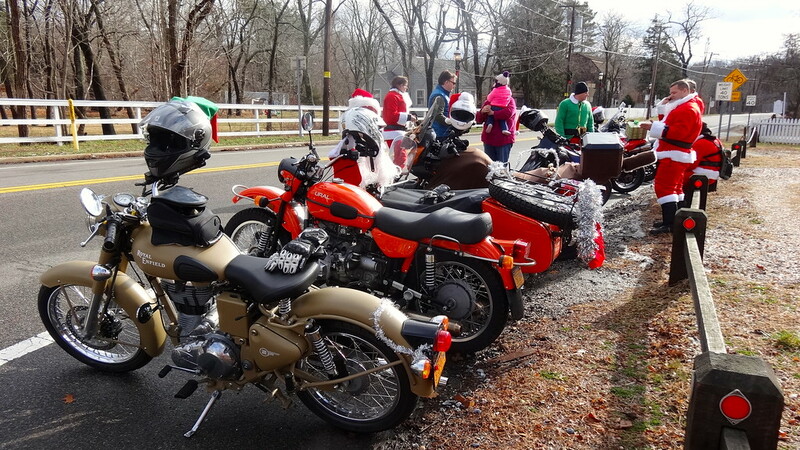 Christmas just wouldn’t be the same without our Santa Ride. It has fast become one of our most looked-foward-to traditions. This year Kenny was our lone elf. Weirdo. 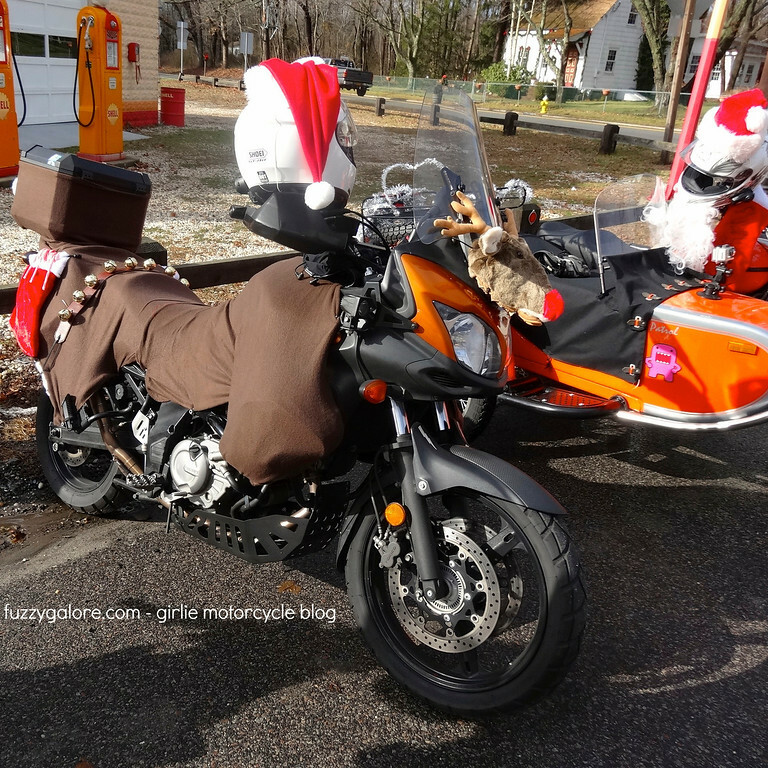 My friend George turned up on his V-Strom totally decked out like a reindeer. Is that cute or what?! While we were hanging around waiting to see who would turn up, passers by stopped to take our picture and we got lots of honks and waves before we even set off. Just as in years past, the reward for riding around dressed like Santa is how happy and excited the people on the roads are to see you. Making people smile in spite of themselves? Priceless. Awesome! Please tell George I love his reindeer! Fuzzy – you may be onto something here to increase visibility. 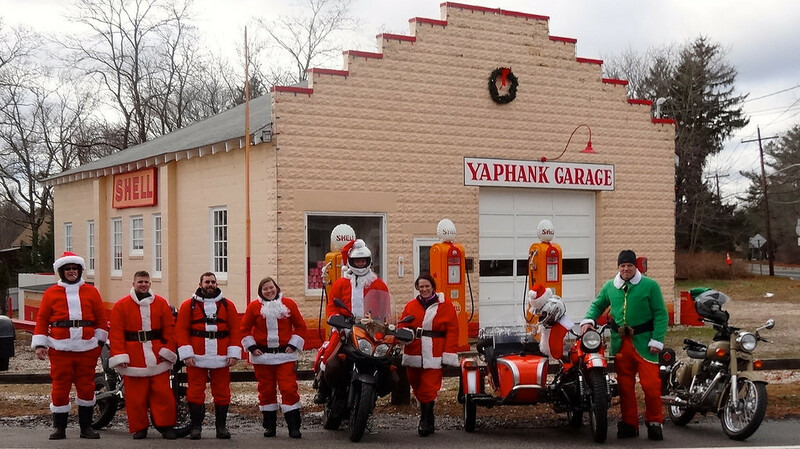 Forget the hi-viz gear, wear a Santa suit all year and finally people might see you on a motorcycle. Loved the ride, thanks for sharing and bringing a smile to all. Ho, ho h.. I mean, YES! As always the best ride of the year! George and his vstrom was a really impressive setup.